Chris has been working in the roofing and cladding industry for over 40 years. Chris started as an estimator on sheeting, cladding & steelwork for a national company, Boulton & Paul Limited, in July 1973. During his time with Boulton & Paul Limited Chris achieved his HNC in construction and studied building law. In 1980 there was a decision, for logistic reasons, to move the company from Norwich to Teeside, and at that time Chris was managing the agricultural section. Chris moved on in the industry to Briggs Amasco Limited where he commenced as a technical representative promoting their in-house products and systems to architects and end users. In 1986 Chris was promoted in charge of the Ipswich Depot where he was to operate all the work in that area and integrate the metal side of the business. In 1991 after successfully operating the Ipswich Depot at profitable returns Chris was promoted back to Norwich as the Branch Manager which he continued doing so for 13 years. In 2001 Chris became a fellow of the Institute of Roofing. After 24 years with Briggs Amasco Limited, Chris decided to take up a career challenge in 2004 with DGT (Steel & Cladding) Ltd where he was in charge of their sheeting & cladding side of the business which he increased from £2m to £12m which included projects like the Duxford Museum and the Luton Airport expansion from concept. The company went into administration in 2008 and Chris decided to set up his own roofing and cladding Consultancy Company. During the last 5 years working for CNB Consultants Ltd, Chris has qualified as an Assessor and Verifier on all flat roofing systems in the industry as well as sheeting and cladding. 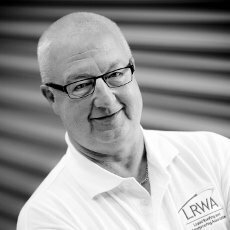 He has written and carried out CPD training presentations, and been involved with the special apprenticeships on single ply and liquid roofing. Last year Chris was elected on to the board or governors for the Institute of Roofing where he has an active part on the education and training committee.